Judge Brett Kavanaugh's nomination to the U.S. Supreme Court will head to the Senate floor after a key Senate committee vote Friday. But the movement came with a caveat. GOP Sen. Jeff Flake of Arizona called for a one-week delay for the Senate's final vote on Kavanaugh to allow for a limited FBI investigation into sexual assault allegations that have roiled the confirmation process. 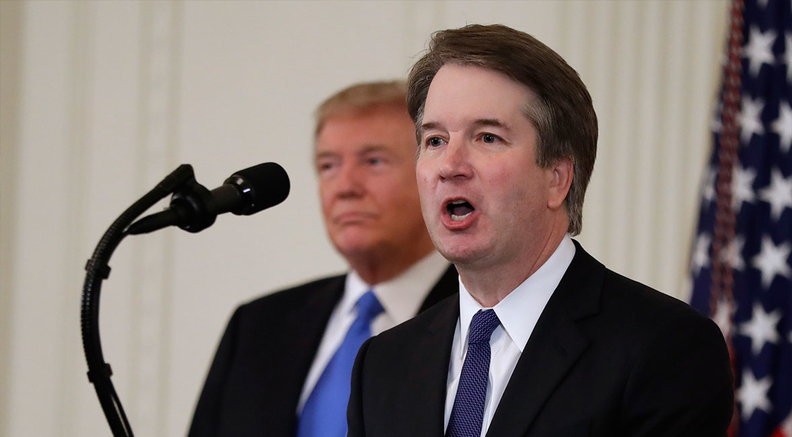 Senate Judiciary Committee Republicans approved Kavanaugh's nomination after Flake consulted extensively with committee Democrats, who remained unanimously opposed. The vote came one day after Kavanaugh and professor Christine Blasey Ford, who has accused him of sexually assaulting her when they were both in high school in the early 1980s, testified before the committee in an emotionally charged hearing. Flake's condition was informal and not binding, as the senator acknowledged to his colleagues. "I love this committee, but we are not the majority leader," Sen. Lindsey Graham (R-S.C.) said after Flake laid out his proposal. Flake conceded that timing of the final vote and the pursuit of an FBI investigation depended on Senate Majority Leader Mitch McConnell (R-Ky.).